The sell-off or dismantling of Bolivia’s largest state-owned companies. In the hydrocarbon sector, which accounted for 50 percent of government revenue, privatisation was accompanied by a drop in royalties companies had to pay from 50 percent to 18 percent. The workforce of YPBF (Yacimientos Petrolíferos Fiscales Bolivianos) was reduced from more than 9,000 in 1985 to 600 by 2002. The state’s dependency on foreign imperialist governments, transnational corporations and their institutions was deepened. International loans and aid covered “roughly half of Bolivia’s public investment”, with each budget deficit bringing further IMF-imposed structural adjustment programmes. The removal of state subsidies sent Bolivia’s small industrial sector into crisis. Some 35,000 jobs disappeared in the manufacturing sector alone. By 1988 the informal sector had ballooned to 70 per cent of Bolivia’s urban workforce, and the few jobs created in the formal sector were subject to labour flexibilisation practices. The establishment of power-sharing pacts among traditional parties and restrictions on electoral registration for alternative parties consolidated the grip that neoliberal politicians had on political decision making. A constituent assembly wrote a new constitution that for the first time recognises the previously excluded indigenous majority and has restored state control over natural resources. Since the referendum ratifying the new constitution the process of “decolonising” the state has continued, most recently in October 2010, with the holding of Bolivia’s first popular elections to elect judicial authorities. The result was a record number of women and indigenous people flooding into the judicial branch of the state. In summary: reassert state sovereignty in the economy and over natural resources; break out of Bolivia’s traditional position of primary materials exporter through industrialisation and promoting other productive sectors such as manufacturing and agriculture; redistribute the nation’s wealth in order to tackle poverty; and strengthen the organisational capacity of proletarian and communitarian forces as the two vital pillars of any possible transition to socialism in Bolivia today. Such a perspective, which seeks to advance the interest of Bolivia’s labouring classes at the expense of transnational capital, may be decried by some as mere reforms, but it is certainly not neoliberalism. While transnationals technically extract the majority of Bolivia’s gas, they do so as contractors hired by the state, which determines the quantity and the price of every single drop of Bolivian gas that is produced. When they have failed to comply with their contracts, the government has not been afraid to nationalise them. In the meantime, the MAS government’s objective is to rebuild YPBF, starting with the expropriation of those sections of the company that were privatised, and from there progressively granting it greater direct participation in the sector. Viewed as a whole, the measures taken to recover sovereignty over Bolivia’s economy have seen the state become the largest player in the national economy. Today more of Bolivia’s wealth stays in Bolivia and is used to expand the internal market through industrialisation, promote the communitarian sector and attack poverty. This is obviously not a neoliberal approach—either in conception or execution. Moreover, it is one that has continually received the overwhelming support of Bolivia’s labouring classes, and not just at election time. Morales’s election victory, far from shifting “popular politics from the streets and countryside to the electoral arena” as Webber claims, was instead the trigger for an intensification of class struggle, culminating in an all-out battle for power whose result was determined by the decisive intervention of the masses. Where Webber sees “electoral sclerosis”, Bolivia’s traditional capitalist elites saw a real threat to their political and economic power. They responded according by launching a counter-revolutionary offensive that peaked with their unsuccessful September 2008 attempted coup. The outcome of this confrontation was determined by the profound nature of the class mobilisations of the period, combined with the ability of the MAS leadership to steadfastly expand and unite its support base among the popular classes, within the military, and internationally. The right wing opposition was sent into a tailspin from which it has not yet recovered. In the subsequent elections the Morales government was re-elected with a record 64 per cent vote of approval, winning a majority in both the legislature and the senate. Two years later there is still no viable and coherent political alternative to the MAS either to its left or right. These creative tensions take various forms. One has to do with the relationship between the state’s tendency to concentrate decision making and the social movements’ affinity for “full and ongoing socialisation of deliberations and decisions around matters of common concern”. This is “a creative, dialectical, productive and necessary tension”, he adds. And finally, García Linera points to a fourth tension, between the need to develop and industrialise Bolivia’s economy and the need to respect the rights of Mother Earth.20 The starting point for resolving this tension, argues García Linera, must be ensuring people’s access to basic services while protecting the environment. This brings us to the conflict that developed in 2011 over the government’s plan to build a highway connecting Villa Tunari (in Cochabamba department) with San Ignacio de Moxos (in Beni department) through the indigenous territory and national park known as TIPNIS (Territorio Indígena del Parque Nacional Isiboro-Sécurre). Webber sees this conflict as confirmation of his thesis that the “neoliberal” MAS government is now being undermined by the “class contradictions” underlying its development model. In Webber’s scenario, the struggle over the highway route pitted poor indigenous communities against a cabal of rich peasants and cocaleros allied with “agro-industrial soy producers”, Bolivian financial capital, “Brazilian sub-imperialism”, and petroleum multinationals, all under the aegis of the MAS government—and all determined to dispossess “uppity, partially non-capitalist indigenous social formations” still in control of the park. These poor peasants and their supporters managed to force the Morales government to stop the road, dealing it a crushing blow. The MAS’s social base, “an eclectic coalition of various urban and rural social movements and trade unions” that had supported the government, “has imploded”. However, it is important to understand the sequence of events, including those subsequent to the march (and Webber’s article). As a result of Bolivia’s parliament approving a law banning a highway through TIPNIS and declaring the park “untouchable”—a term included at the insistence of NGO advisers working with march leaders—a debate opened up in Bolivia over the highway and TIPNIS’s “untouchable” status. Evidence emerged of contracts that TIPNIS communities had signed with various commercial operations, including timber and tourist enterprises. Important indigenous and popular sectors began organising against the new law, stating their intent to mobilise in support of the highway. By December a counter-march was initiated by CONISUR (Consejo de Indígenas del Sur), which groups a number of indigenous and peasant communities within TIPNIS. The CONISUR march received support from a variety of sectors, in particular Bolivia’s three largest nation-wide indigenous campesino organisations. These forces argued that the highway is essential to integrating Bolivia’s Amazonian region with the rest of the country, as well as providing local communities with access to basic services and markets to sell their agricultural produce. When the CONISUR march arrived in La Paz 39 days later, the government asked leaders of the earlier march to meet with CONISUR representatives to try and resolve the dispute. Leaders from CIDOB (Confederación de Pueblos Indígenas de Bolivia), which unites 34 lowland indigenous peoples, and the TIPNIS Subcentral rejected this request. 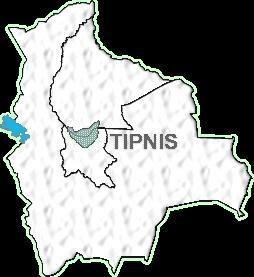 Parliamentarians then began meeting with CONISUR representatives to elaborate a new law that would allow TIPNIS communities to decide the fate of the project. The result was a new law facilitating a consultation process which gives the three indigenous peoples within TIPNIS—the Yuracare, Chiman and Moxe—the right to decide, in accordance with their own norms and procedures, whether or not the highway is to be built through TIPNIS and if the park is to maintain its “untouchable” status. At the time of writing it is remains to be seen just how this will work out. Whatever the errors of the MAS government with regard to consulting the indigenous communities involved, steps have been taken to respond to the concerns expressed by the marchers, and to open up the question of the highway for further debate, with the ultimate decision now being handed to the very indigenous communities that Webber argues were being steamrollered by the supposedly neoliberal government. but nevertheless maintains that the overall agenda of the marchers was “essentially just”. In fact, these demands, along with the subsequent demand by NGO advisers to declare TIPNIS “untouchable”, indicated significant influence of foreign-bankrolled NGOs, most of which promote their own agendas in Bolivia. If we were to accept Webber’s argument, we would not only have to question the interests behind the Potosi protests but even those of the TIPNIS communities themselves, who have consistently stated their support for the highway while opposing its current trajectory through the middle of their territory. Like many other communities in Bolivia, TIPNIS residents unserved by roads lack access to basic services and are unable to transport their produce to market. Overcoming this, and the stranglehold that the Santa Cruz oligarchy maintains over the Amazonian economy, is not only a central priority for the Morales government; it has been a key demand of Bolivia’s impoverished majority. One of the most questionable aspects of Webber’s piece is his effort to divide indigenous movements between “good” ones, which he says are “non-capitalist” communities waging class war against “the dull advance of bourgeois industrialisation”, and “bad” ones allied with the MAS. The truth, however, is that “the coca-growers [supporting the highway] were neither saints before nor are they narcos now; those in TIPNIS are neither agents of imperialism nor are they the vanguard force in the fight for an alternative civilisation”.32 While peasant populations have always, everywhere, been stratified along class and income lines, Webber offers no evidence that the vast majority of indigenous peasants and their organisations are not still in alliance with the MAS government, whatever their criticisms and occasional conflicts with it. Webber’s animosity to the MAS and its programme has led him to ignore these realities and challenges. He romanticises the road opponents, while overlooking the real role of the Santa Cruz oligarchy and US imperialism. As such, Webber’s approach undermines the defence of Bolivia’s process of social change. In imposing his schema of revolutionary masses versus neoliberal government on each and every protest that erupts in Bolivia, Webber comes up short on the tasks that we share as solidarity activists have in imperialist countries. We need to do more than oppose “imperialist meddling” in principle. The TIPNIS struggle bears the signs of intervention by imperialist agencies and their clients in Bolivia and abroad. This ongoing involvement infringes on the rights of all Bolivians, including the TIPNIS protesters. It is part of a longstanding pattern of diplomatic, military and economic intrusion that is strongly resented by the Bolivian people. Whether we, like García Linera, regard the TIPNIS controversy as a conflict within the people, or like Webber take sides against the Bolivian government in this matter, we must not fail to use the occasion to oppose the intrusion of imperialist governments and agencies into the internal affairs of the Bolivian people. 1: Thanks to John Riddell and Richard Fidler for their suggestions while writing this article. 2: Webber, 2012. Except as indicated, all quotations attributed to Webber are taken from this article. 4: Spronk and Webber, 2003. 6: The following data is taken from Kohl and Farthing, 2006. 7: Riddell, 2011. The term indigenous-popular is used to refer to the diverse and complex conglomerate of labouring classes in Bolivia today. 8: Arce, 2011, pp. 1-7. 9: García Linera, 2011c, p. 61. 10: Telesur, 2012; García Linera, 2011b, p20; García Linera, 2011c, p. 38. 11: García Linera, 2011b, pp. 15, 19. 12: Cambio, 2011b; Cambio, 2011c. 17: García Linera, 2011a, p. 24.Emphasis in original. 18: García Linera, 2011a, p. 38. 19: García Linera, 2011a, p. 47. 20: García Linera, 2011a, p. 63. 22: See, for example, Opinion, 2011. 26: Fuentes, 2011. For links prior to 2005, see Lindsay, 2005. 30: García Linera, 2011b, p. 152. Kohl, Benjamin, and Linda Farthing, 2006, Impasse in Bolivia: Neoliberal Hegemony and Popular Resistance (Zed Books). Spronk, Susan, and Jeffery R Webber, 2003, “Struggles against Accumulation by Dispossession in Bolivia: The Political Economy of Natural Resource Contention”, Latin American Perspectives, issue 153, volume 34, number 2 (March).